The Central and Eastern European Alliance for the Solidarity with the Saharawi People (CEE Alliance) strongly condemns Morocco's unjust sentence of 24 Saharawi civilian activists who were tried before a Moroccan Court-Martial. The trial lasted over 9 days. 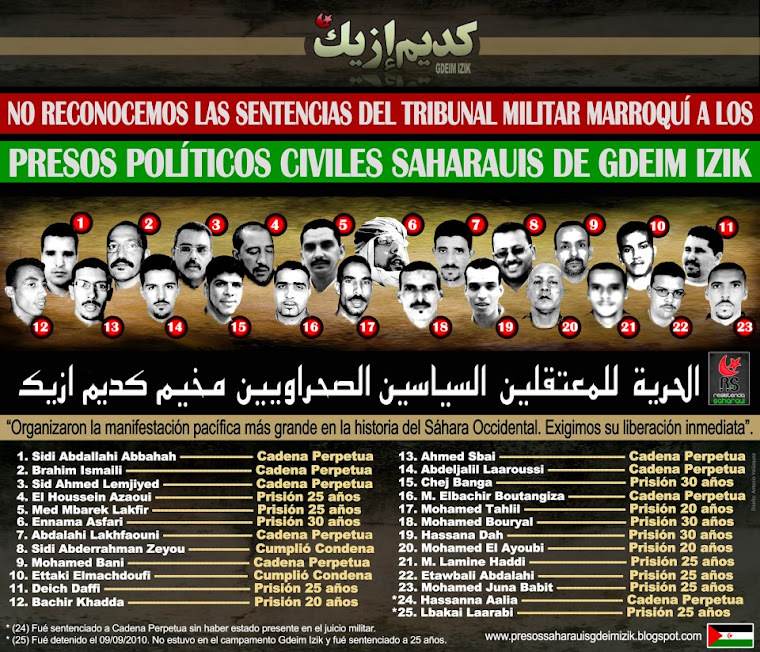 On Saturday, 16 February 2013, the Moroccan Court-Martial, in the deepest hours of the night, has issued severe sentences against the 24 Saharawi prisoners of conscience imprisoned in Salé (Morocco) ever since the dismantling of the Gdeim Izik protest camp near El Aaiun (Western Sahara) on 8th November 2013 by the Moroccan forces. As it was reported 8 were convicted to life imprisonment and 14 were sentenced ranging from 20 to 30 years and 2 for 2 years. The Saharawi prisoners, human rights activists, are being arbitrarily accused in particular of “undermining the internal and external security of the State, forming a criminal group and attacking public officials in the course of their regular duties”. The prisoners were all on remand, without charge for more than two years, and this is illegal under the Moroccan Criminal Code. 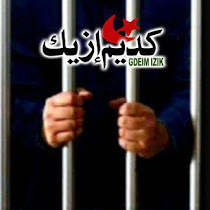 They staged four hunger strikes in order to alert public opinion and to claim for improvements in their conditions of detention and their unconditional release. The Saharawi political prisoners contested the legitimacy of the military court; they also expressed their attachment to the inalienable right of the Saharawi people to self determination, whilst condemning the crimes perpetrated by the Moroccan State against the Saharawi citizens. The politically motivated and unjust sentences against the Sahrawi human rights activists, including life imprisonment, were handed in a trial that was fraught with legal irregularities as attested to by the independent and international observers that managed to follow the trial. A host of international human rights organisations and groups have also expressed their deep concern about the proceedings of this unjust trial, which Amnesty international has considered flawed from the outset. In addition, Amnesty International underlined that “the trial of civilians before a military court does not meet internationally recognised standards for a fair trial. The 24 accused must be brought before a civilian court with all the human rights guarantees that go along with it, and in no event must anyone be sentenced to death”, as stated by Philip Luther, Amnesty International’s Director for the Middle East and North Africa, on 1 February 2013. 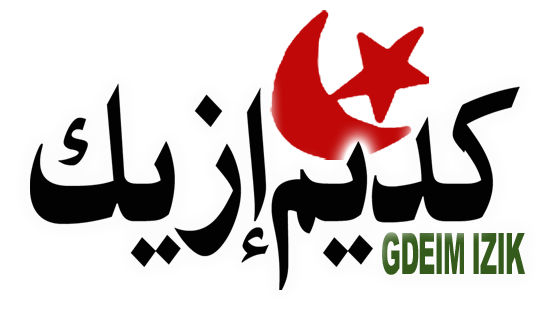 As you may be aware, the 24 human rights activists were arrested in the aftermath of the dismantling of the Gdeim Izik Protest Camp on 8 November 2010, when Moroccan troops and police attacked violently tens of thousands of Sahrawi civilians who were staying at Gdeim Izik Camp, to the east of the occupied city of El Aaiun. The main goal of the Sahrawi civilians was to protest peacefully against the deteriorating socio-economic and political conditions in which they have been living for over 35 years under Morocco’s illegal occupation. Due to the aforementioned points, CEE Alliance condemns the outcome of this unlawful trial and demands the immediate release of these political prisoners and the restoration of their dignity.